Blini are little, buckwheat pancakes that are yeast-leavened. Traditionally they are served with sour cream, jam, syrup, sour cream or are stuffed with meat, rice, fish, cheese and other savory foods. Red caviar would trim the platter as the stacked Blini were placed on the dinner table. Blini are baked in large quantities at Shrove (carnival) the last week before lent. The making of blini was a sacred mystery. Our ancestors would tell fortunes over the dough and kept their recipes for the little treasures as great secrets. It is an important tradition for mother-in-laws to make the blini for her son-in-law. The measure of your skill as a worthy cook depended on how thinly you could make your blini. 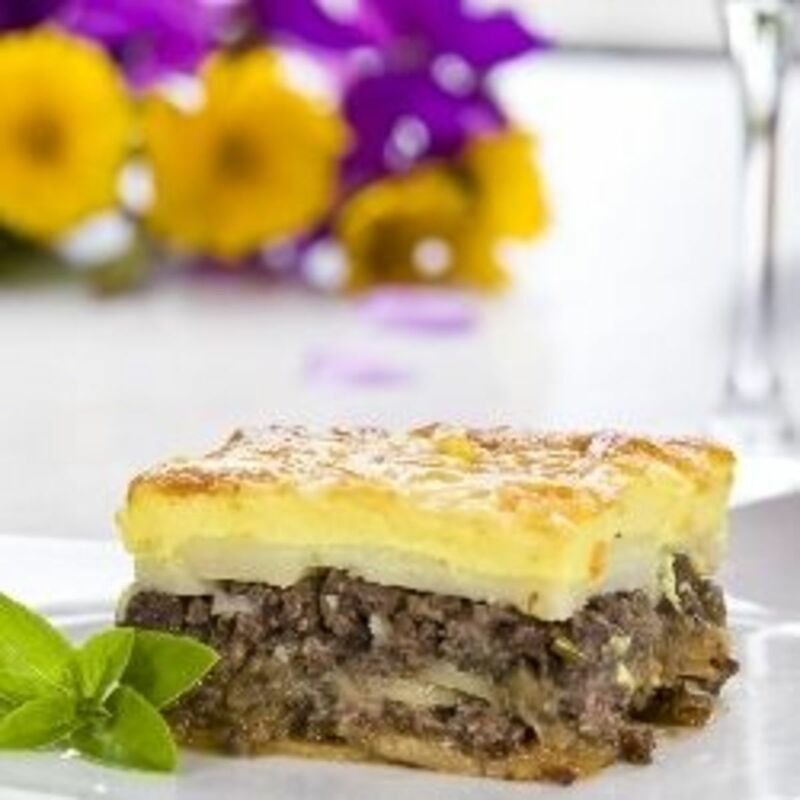 A simple mixture of eggs, milk, salt and flour were mixed thoroughly and cooked in specialized pans and offered as tempting rewards establishing a brides potential cooking skills as handed down from her mother. Hard to find "BLINI and American Caviar Sampler Gift Set!" The blini are referred to as little suns and celebrate the coming of spring and the end of winter. By making huge amounts of these little delights the townsmen used much of the winter ingredients before the warm summer arrived to spoil them. This may well be why it is also tradition to make them for many friends and family the week prior to lent. While eggs, dairy & fish were not consumable during lent, they had to be eaten so they would not go bad or provide temptation to the population. Time has changed many of the traditions handed down regarding blini, they come from the Central Asian countries that were eventually annexed by Russia and formed most of the Soviet Union. Blini are a huge attribute to the Muscovite's, a people living in one of the few remaining places where the traditional practices play out to this day. As far back as pagan times blini was the symbol of the sun. The Muscovite people believed that blini is eaten to honor the incoming spring and fertility of the earth. This is why the blini is commonly referred to as the Maslenitsa blini. 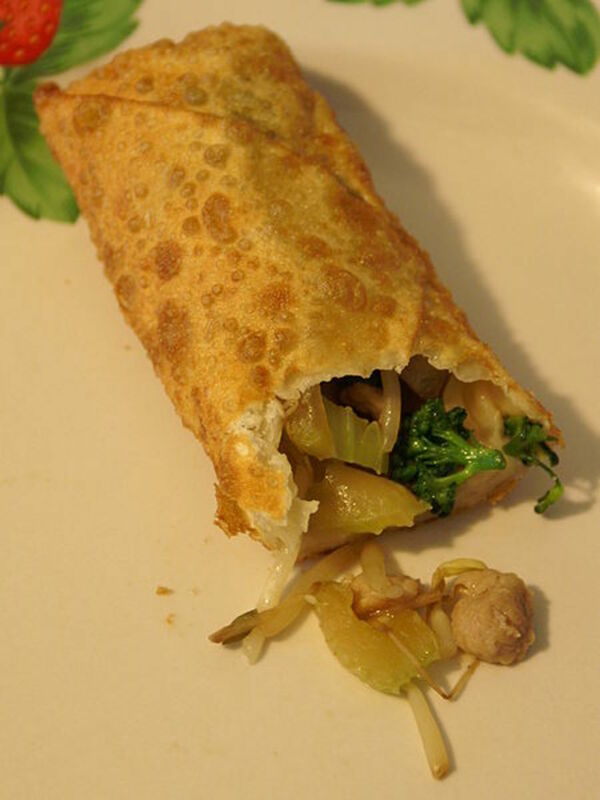 Maslenitsa blini holds a worthy place in many cuisines of the world to this very day. A SHORT Video on Making Blini. Whether sweet or savory, the blini offers a diverse accompaniment for what ever lands on the dinner table. Pagan or prince, all have danced in celebration and bowed in worship around the blini. Its simplicity and wonderful taste and versatility are a beautiful statement to the resilience of a hearty people. My grandmother lived among these people for all of her childhood and much of her teen years. She would speak of traditions and celebrations and also of the sun blini. She made paper thin blini that had a flavor to please all comers.Today I will proudly be sharing a version of my grandmothers recipe for these sweet crepe like wonders. I hope you enjoy their delicate texture and sturdy history. Usually my grandmother would start these the day before due to the need for the yeast to activate the rise of the dough. But the version I am sharing with you today is very simple and a great time saver. You will be enjoying your blini in no more than 25 minutes! 1/2 C to 3/4 C buttermilk, using kefir instead of buttermilk offers added flavor. This is my Grandmother's little secret! Blini come from the Central Asian countries that were eventually annexed by Russia and formed most of the Soviet Union. As you enjoy your blini, remember that a rich hearty culture brought them to the United States. They have spiritual meaning as well as a magical history of welcoming spring at the end of cold harsh winters. They brought bloodlines together and fed family and friends before lent arrived. 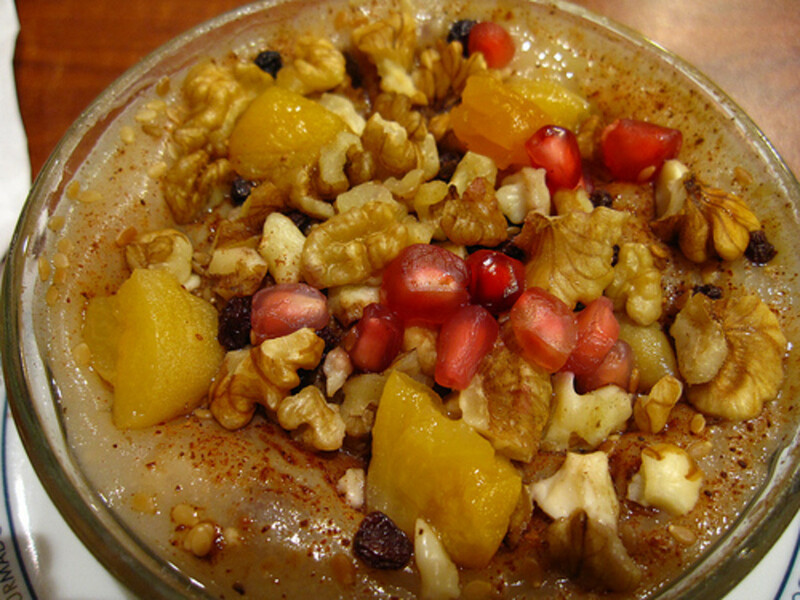 The great tribute of Shrove (carnival) is designed around this tasty pagan food. Peasant as well as royalty have dined on them in hope of a better tomorrow. I hope you enjoy my grandmothers recipe as I have for many years. Bon Appétit! Have you ever eaten a blini? Going to try them. This is the first I have heard of them. (Start Thinking Crepes. The thinner a Blini Is, The Better). Pour all-purpose flour into a medium bowl. Add milk and eggs mixing well to combine ingredients. Add sugar, salt, oil and buttermilk (kefir) and mix to combine these with the egg mixture. You want to continue mixing until the batter is smooth and has no lumps. (By sifting dry ingredients together prior to mixing you can be sure no lumps will pop up.) If the batter is even a little bit thick, add a little more milk. You are looking for a very thin pancake-batter-like consistency. Preheat a 12" fry pan (a blini pan would be best if you have one) over medium heat. (Feel free to deviate from a skillet-style to a non-stick style pan. You may find better initial results). Add several drops of oil to the pan and swirl it to cover the bottom of the pan completely. You don't want your blini to stick. Repeat this step between each blini. As soon as the batter is in the pan and maneuvered into shape, turn the heat down to medium or medium-low. These little guys burn fast so be aware of the heat. The pan is already hot so we won't require as high of a temperature from here on out. Cook blini on the first side until you see the edges start to curl slightly and turn golden brown. Look for this to happen around the 1 minute mark. As they complete their cooking stack them one on top of the other on a service plate. Rubbing a tiny bit of butter on the surface keeps them moist until you finish the rest of the batter. Serve with jam, syrup, cream cheese and powdered sugar. If you prefer a savory topping, sour cream, smoked salmon and caviar are fantastic as well. 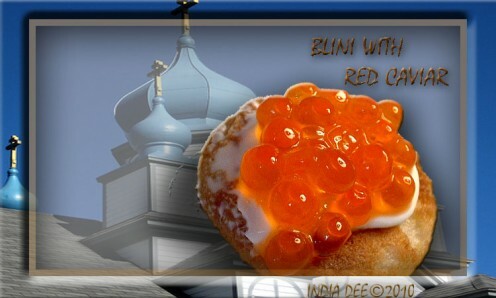 Traditionally red caviar would cover the perimeter of the blini stack. The Future of Education - A Cloud of Grandmothers? 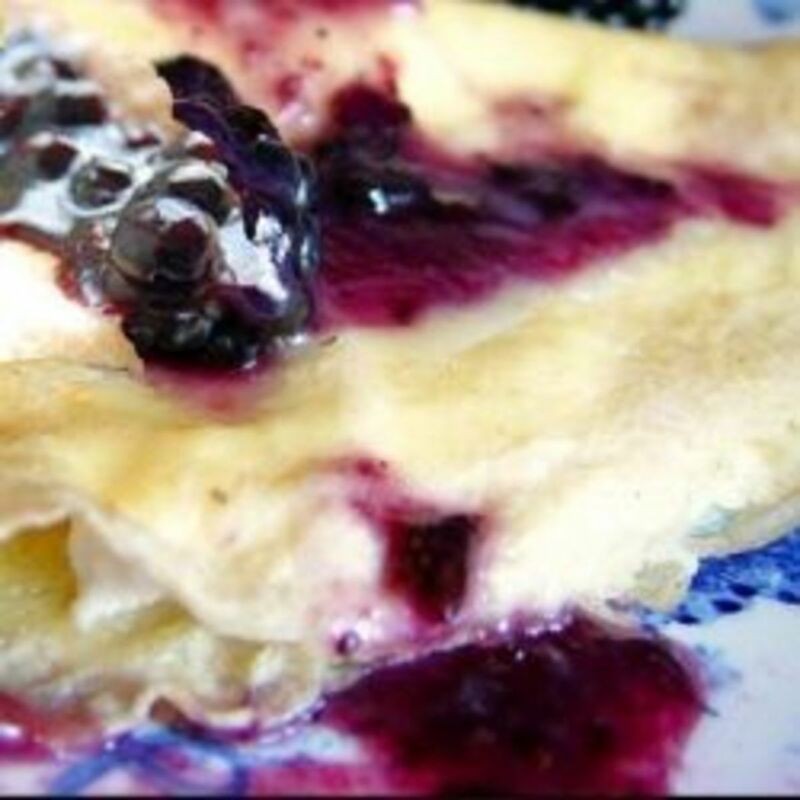 Comments for "Blini Recipe, Russian Crepes"
blini ocheni vkysniie! i love them! Thank you Greenlily! You wil have to let me know when you get a chance to try these! They are delightful! Thank you for the comment! I always enjoy you stopping by! Wow this is my first time to ever learn about blini. I've not seen or eaten this but you really made me so curious about this stuff.